The greater Lynchburg area, with its moderate climate, reasonable cost of living and beautiful scenery, has drawn retirees for decades. But today’s retirees are looking for more than just a comfortable recliner and a nice view—21st century seniors are interested in keeping their minds sharp and bodies agile. 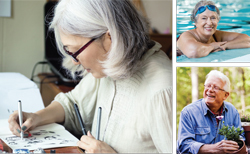 Retirement living communities have responded, and now offer a wide range of optional activities on their campuses, from yoga and photography classes, to opportunities to attend concerts, plays and other cultural events. Retirement has become a chance to learn new skills, make lasting friendships, and explore opportunities that people were too busy for during their bustling career and family years. Retirement communities offer different levels of care—many them within the same location, so residents can add care as needed. Independent living offers retirees maintenance-free apartments or homes with kitchens and/or restaurantstyle dining and minimal assistance. Assisted living is a step beyond, with staff attending to basic care needs, including help with grooming and medications. Fulltime or long-term care is around the clock monitoring, which may also be called a skilled nursing center. Some communities offer specialized memory care for patients with dementia or Alzheimer’s disease. If you are looking to transition to a retirement facility, or are exploring the option for a loved one, here is a breakdown of eleven facilities in the region—one of which is sure to be a fit for your lifestyle, finances and preferences. Westminster Canterbury is one of six communities in Virginia affiliated with and guided by the standards of the Episcopal and Presbyterian churches. It is a non-profit organization governed by a board of trustees that is open to people of all faiths. Various housing options exist, from small apartments to spacious cottages, some with entry fees and one without an entry fee (see the website for a detailed breakdown). Independent living, assisted living, short-term rehabilitation and long-term nursing care are provided, allowing the resident to age in place at the campus. The facility prides itself on an extensive activities program that includes hobby classes such as photography, a gardening group, water fitness classes in the on-site pool, and group trips to museums and the theatre. “I think what sets us apart is the customization we will do for our residents, as we will work to design the space they’ve selected to their liking to be sure they are happy here,” notes Debbie Callahan, vice president of marketing and development. Valley View, located in a quiet park-like setting in Lynchburg, has been serving area seniors since 1988. 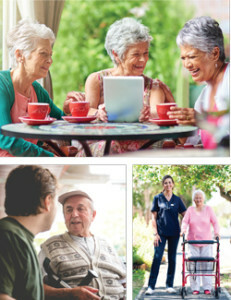 Valley View provides both independent and assisted living options without long-term commitment. “We have a very long-standing reputation for being a warm and friendly, home-like community,” says community director Pam Grigg. “We employ over 60 employees and the average length of employment for most is 10 to 15 years. We truly care and treat our residents like family.” The property has mature trees, walking trails, and raised gardening beds, plus private balconies with every apartment. Residents have a full calendar of activities they can engage in, and free transportation to doctor’s appointments, shopping and activities in the Lynchburg area. Centrally located in Lynchburg, Bentley Commons strives to provide affordable assisted living services and will help with financial planning. Bentley Commons’ mission states, “We want to make it affordable and easy to plan assisted living and independent living for seniors.” Various apartment styles are offered, and residents can transition from independent to assisted living as needed. A full schedule of activities as well as transportation and all services expected from assisted living—such as dining, help with personal care and medications—are offered. A respite care option allows seniors to stay for as little as two weeks at a time, with no commitment. Heritage Green offers senior living facilities in multiple states, including Virginia, New Jersey and Pennsylvania. Heritage Green in Lynchburg is a single-story building with staff that care for residents who need assistance with daily tasks, but do not require skilled healthcare services. A separate memory care program for residents affected with Alzheimer’s disease or dementia is also available. The residents’ calendar is full of events like yoga, seminars and family fun day. The Elms is conveniently located in central Lynchburg, close to various attractions and medical services. The Elms is dedicated to providing a warm, caring environment for seniors that is also affordable. An on-site beauty and barber shop, flexible meal program, transportation, as well as on-site activities and social programs are some of the things that residents enjoy. Located near Lynchburg General Hospital, Avante provides short-term rehabilitation services following surgery or a hospital stay, and long-term skilled nursing care. The rooms are newly remodeled, and an activities calendar keeps residents engaged and entertained. Additionally, an on-site beauty and barber shop, religious services and counseling and support groups are offered. The Summit is a joint partnership between the Christian Church of Virginia (Disciples of Christ) and Centra, a regional non-profit healthcare system that manages all of the residents’ healthcare. The Summit offers a 143-acre campus with walking trails and an eight-and-a-half acre lake for boating and fishing. The property has views of the Blue Ridge Mountains, gardens and walking paths. Seniors never outgrow the facility, as additional step-up care can be provided within the campus. A full menu of activities for the mind and body are provided, as well as transportation throughout the area. “Resident life includes lifelong learning opportunities, intergenerational programming with local schools, painting classes, wine tastings and other social activities,” says marketing director Brenda Dixon. Family owned and operated by founders Brian and Vickie Runk, Runk & Pratt has provided senior living facilities in the region for more than 25 years. Currently they have five facilities in locations including Forest, Lynchburg and Smith Mountain Lake. 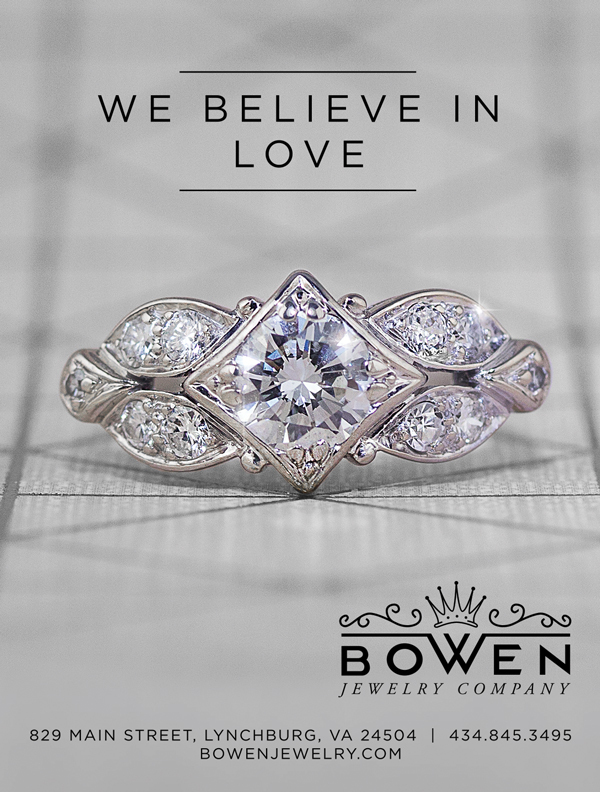 “We see your family as our family—someone whom we are able to love and encourage,” says Vickie Runk. Runk & Pratt has dedicated significant resources to memory care, and offers the option of Snoezelen rooms (specialized multisensory environments) which help soothe Alzheimer’s patients and improve their interactions with family and staff. A full menu of activities, off-site trips, seminars and transportation is available. Heartland provides short-term rehabilitation and care following a hospital stay, as well as care for seniors who need long-term skilled nursing. Heartland’s mission is to provide the “finest in daily living and personal care in a homelike environment.” Individual rooms, dining options, an activities calendar, and special events are some of the features of this facility. The Williams Home is a non-profit retirement home for women 55 years of age and older. Established in 1950, it occupies six manicured acres and can accommodate 35 ladies, who are cared for by a staff of 37. “The home is spacious and the ladies are encouraged to use the numerous sitting rooms, solariums, library, relaxation station, internet cafe, kitchenettes, movie theater and the screened porches,” says marketing representative Sheila Roakes-Peters. She describes the culture as family-like, steeped in a rich history of gracious ladies who treat all with courtesy, dignity and respect. Dining room meals, full calendar of activities and outings are enjoyed by the residents. Liberty Ridge provides rehabilitation care following surgery or a hospital stay, and has long-term care living options for persons needing constant skilled nursing care. The property features restaurant-style dining with alternative dining options, a meditation room, chapel, beauty shop and sitting rooms for visits with family and friends. An activities calendar provides opportunities for socialization and exploring interests. In addition, there is a spacious rehab gym with a full-time staff of licensed therapists. 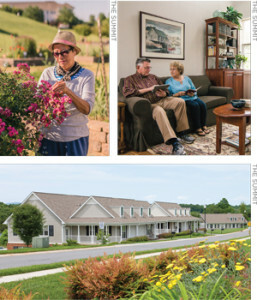 Senior living options in the Lynchburg region are varied and plentiful, allowing seniors to spend their golden years doing more of what they love while relinquishing the tasks that they no longer wish or are able to do safely. There are options to suit various lifestyle wishes and budgets, making retirement more enjoyable than ever before.